Signing of Memorandum of Understanding (MoU) between MHRD and Focus States for TEQIP-III - Robolab Technologies Pvt. Ltd. The Union HRD Minister Shri Prakash Javadekar signed MoU for Technical Education Quality Improvement Programme (Phase- III) with 18 States and 1 UT in New Delhi today. 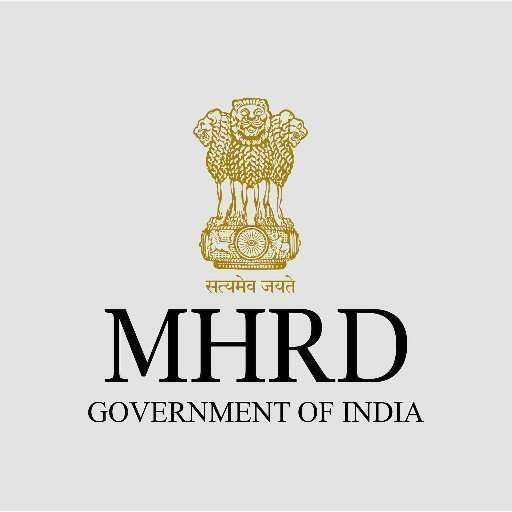 The Union HRD Minister expressed his happiness on the occasion as the programme is implemented in assistance with World Bank in a sustainable way to improve over all standard and quality of technical institutes. The Union Minister emphasised that innovation and research can happen only when physical infrastructure and trained manpower is available, and therefore this programme is vital for much needed technical up-gradation in education institutes. For implementation of the project, TEQIP-III, a MoU was signed between MHRD and Focus States in the presence of Honourable HRM. The Focus States are 7 Low Income States (Bihar, Chhattisgarh, Jharkhand, Madhya Pradesh, Odisha, Rajasthan and Uttar Pradesh), 3 Hill States (Himachal Pradesh, Jammu & Kashmir and Uttarakhand), 8 North-Eastern States (Arunachal Pradesh, Assam, Manipur, Meghalaya, Mizoram, Nagaland, Sikkim and Tripura) and Union Territory of Andaman and Nicobar Islands. The project will be implemented as Central Sector Scheme with the facility of Direct Funds Transfer to the accounts of beneficiary institutes. The project will be initiated in April 2017 and will be coterminous with Fourteenth Finance Commission (FFC) i.e. 2019-20. TEQUIP I and TEQUIP II had a positive impact on the infrastructure and educational standards in the technical institutions where they were taken up. Institutions in the central, eastern and north-eastern region and hill States are at present in need of similar and specific interventions. The initiation and implementation of the project TEQIP-III arises from the need to bridge this gap. Transparent and expeditious release of funds to institutes by way of Direct Funds Transfer (DFT) System. The Technical Education Quality Improvement Programme (TEQIP) commenced in 2003 with World Bank assistance as a long term programme to be implemented in 3 phases. The first phase of Technical Education Quality Improvement Programme (TEQIP) commenced in 2003 and ended on March 31st, 2009. TEQIP-II commenced in August 2010 and is scheduled to conclude in March 2017. The project will cover all Government / Government aided engineering institutes, affiliating technical universities (ATUs) and CFTIs from Focus States/UT. High-performing TEQIP-I/ TEQIP-II Government / Government aided institutes/ATUs across the country would be eligible to participate in twinning arrangements for knowledge transfer, exchange of experience, optimizing the use of resources and developing long-term strategic partnerships.